Rabbi's Message : Mt. Sinai = Creation? We look forward to greeting you on Shabbat! Guests are always welcome! Please make an extra effort to join us in welcoming Shabbat on Friday Evening! A more relaxed Shul option; insights into the prayers, topics of interest, and 'Ask the Rabbi'! 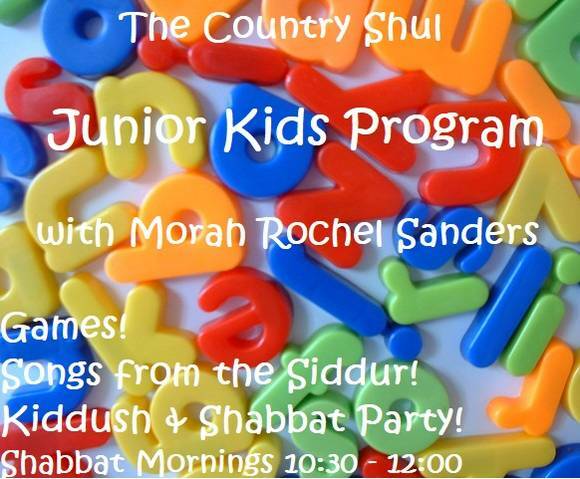 Children sing selections from the Siddur, enjoy stories from the Torah, and have a Shabbat Party with Kiddush and Challah! Join the fun! 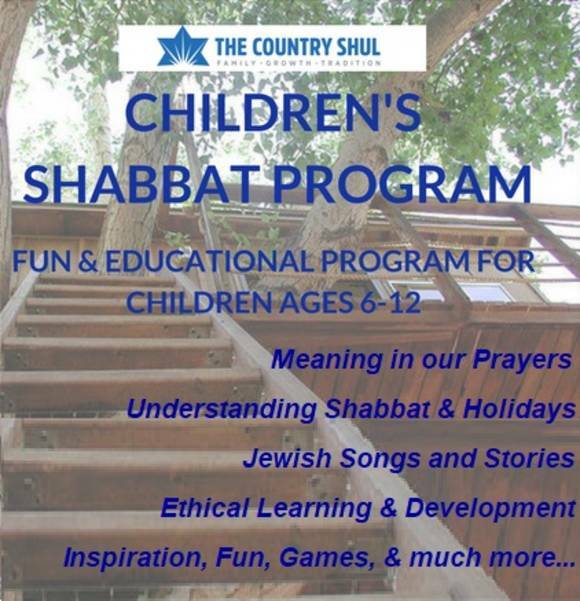 Loads of fun while at the same time very educational, for ages 6-12, led by a multi-talented and experienced teacher, Shabbat morning @11:00 AM. (Available at no charge). 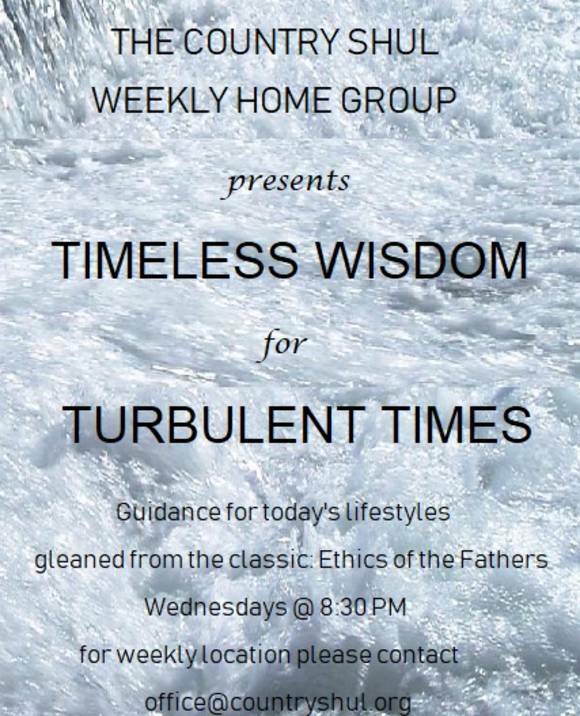 The Home Group this week will meet on Wednesday, January 30, at 8:30 PM. We will study Ethics of the Fathers, Chapter 2, Section 17. Location to be announced. 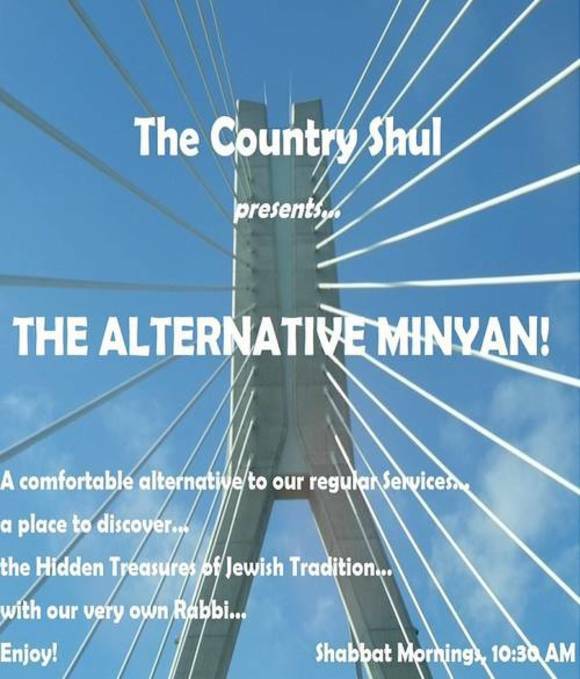 Go to our new website www.countryshul.org . Click on 'New User' at top right corner to create your account. For $100/month your name and a link to the business or organization you would like to promote will be displayed prominently at the top of our website. 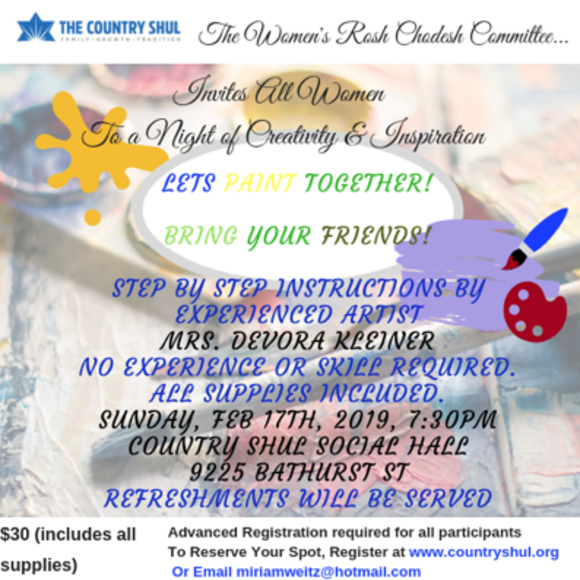 Contact us at office@countryshul.org if interested. WELCOME TO RICHMOND HILL + CHESSED OPPORTUNITIES! JIAS Toronto is looking for female volunteer(s), to meet with two Yazidi refugee sisters on a monthly basis. The sisters are in their late 20s and live in Richmond Hill. The volunteer would help them get oriented to their neighbourhood and the GTA generally. Some ideas of activities include taking them to the local public library or to hear some music in their neighbourhood. That said, it’s really flexible, depending on the volunteer’s interests and ideas. In addition, we need someone to take them (a woman and her 11-year old sister) to an important medical appointment at Sick Kids Hospital on January 30th. The appointment is at 8:30 am, so the driver would need to leave Richmond Hill by approximately at 7 AM. 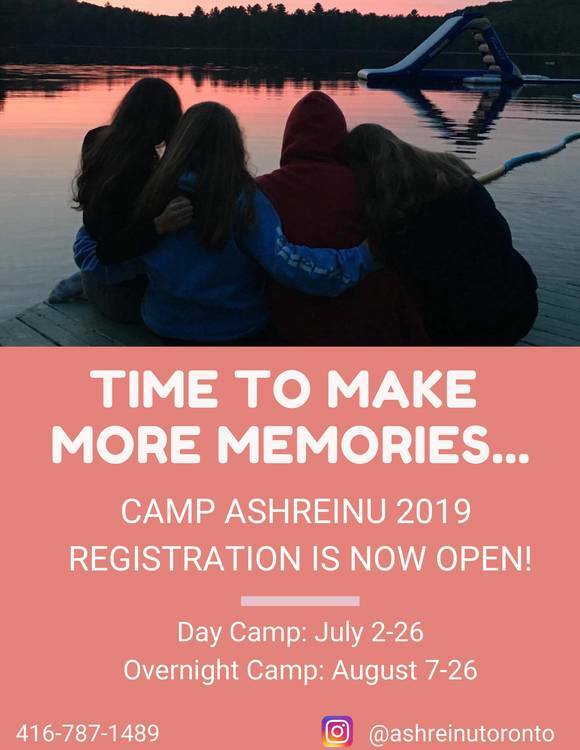 Please contact Rachel Levy Phone: 416-630-6481 ext. 5435 if you are able to assist. A number of years ago, a man in NYC boarded the Amtrak train to Baltimore. He took the only available seat, next to a fidgeting and obviously agitated young man. He tried to strike up a conversation, asking what seemed to be so troubling. After much initial protest, the young man ultimately told his story. Growing up in a small town outside Baltimore, he was a bit of a geek, intellectually focused but without many friends. His parents bought him a computer when he was in Grade 10. An avid sports fan, he began computing and compiling his favorite team's statistics. When his cousin became aware of this, he advised him that this was a lucrative business opportunity; people would pay money to access this information. There quickly came a website, and within a short time, this young boy was earning fabulous amounts of money. His parents tried to guide him, but it had gotten to his head. He was making more money than they were. Who were they to advise him?! Soon, he moved out, purchased an expensive loft in New York, and began partying and living the high life. Until one day when his cousin informed him that ESPN, the sporting website, would begin providing all sports statistics free of charge. The business soon imploded, and the young man, forced to sell everything, was down and out, no place to go, nowhere to turn. Sitting on a park bench and considering his options, he began thinking about his parents. Would they take him back, after the way he had disrespected them? Determined to try, he sat down and wrote a letter. He apologized for his behaviour, and asked if they would take him back. To let him know their decision, he told them which train he witless take. If they agreed to have him, they would put a white flag on a tree next to the Amtrak station in Baltimore. If he would see the flag, he would exit at Baltimore; if there was no flag, he would have to continue on and see if he could make a new life for himself in Washington, DC. This was that train ride, the young man explained to his seat partner. And that was why he was so tense. As they approached the Baltimore station, the errant son turned to his newfound friend and asked a favour. It would be most difficult for him to see the tree bare; would he kindly take a look out the window and let him know if the flag was there? The traveler indeed took a look. The entire tree outside the station was draped in white. And there were two older people standing nearby, tears streaming down their faces, anticipating the reunion with their son. On Tu BiShvat, the New Year for trees, our celebrations focus on the fruit of the tree. On the Day of Judgement for fruits, the Festival of Shavu'ot, the custom is to spread branches in our Synagogues and homes (some even construct a Chupa, wedding canopy, of branches over the Bima at Shul in honour of the day). Shouldn't this be reversed? On the Rosh haShana for Trees, it would seem most appropriate to spread actual tree branches! And on the Day of Judgement for tree fruit, let's concentrate on fruits! Rabbi Yoel Teitelbaum answers: At times, parents need support from their children; at other times, children need their parents. On the New Year for Trees, the offspring are recognized. On the Day of Judgement for fruits, they lean on their parents. Parent-child bonds are extraordinarily strong and durable. We must press them into service to enhance the lives of both generations.